Location: The book is on permanent exhibition in the Squamish Public Library. 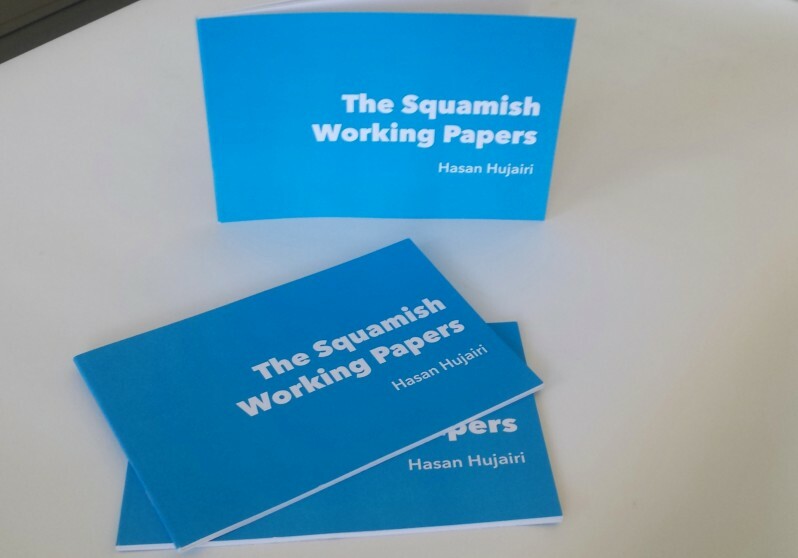 The Squamish Working Papers is a small collection of writings created during Hujairi’s Vancouver Biennale 2014 residency program in Squamish. 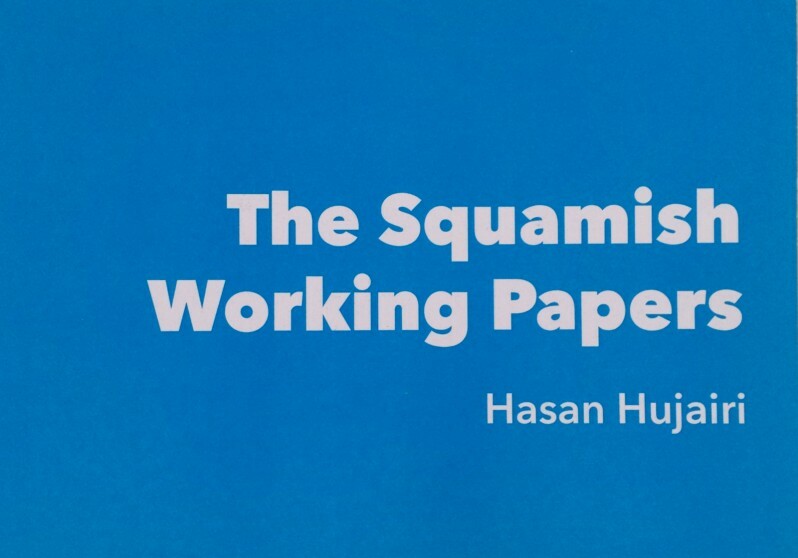 The Squamish Working Papers is a response to, and critique of, how Hujairi saw himself and other visiting artists engaged in public art in Squamish and Vancouver (often in the form of installations or sculptures). At the time of the residency, Hujairi was especially sensitive to debate on how public spaces were part of local political discussion, to debate on the historical meaning of land to different communities in British Columbia, and to discussions on environmental issues. All this led him to reflect on the socio-political meaning of public space as someone from a country that witnessed the Arab Spring. The result was a small personal collection of writings. 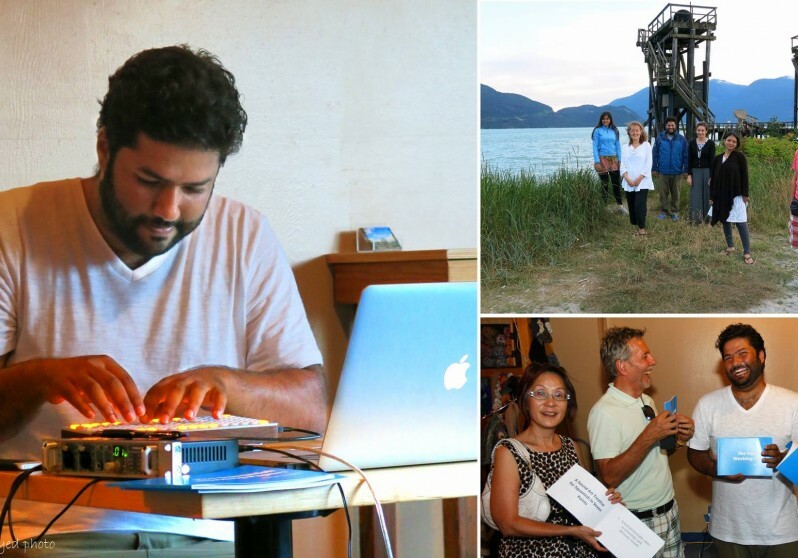 While in Squamish, Hujairi also engaged the public through workshops at the Squamish Public Library and by giving a sound-art performance/lecture about his findings in Squamish.